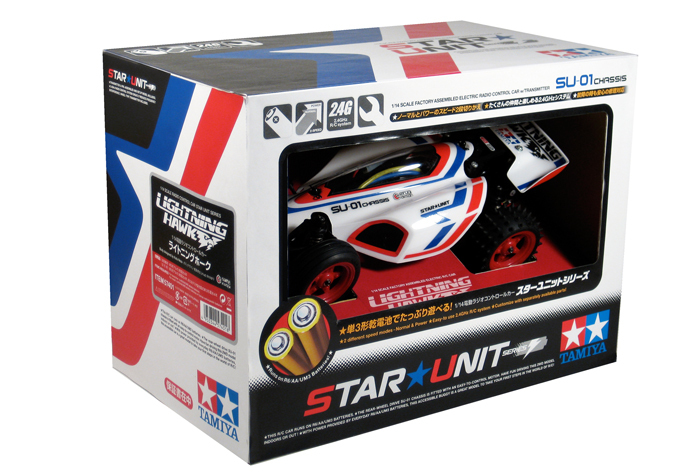 Tamiya has officially announced the SU-01 Lightning Hawk Buggy. 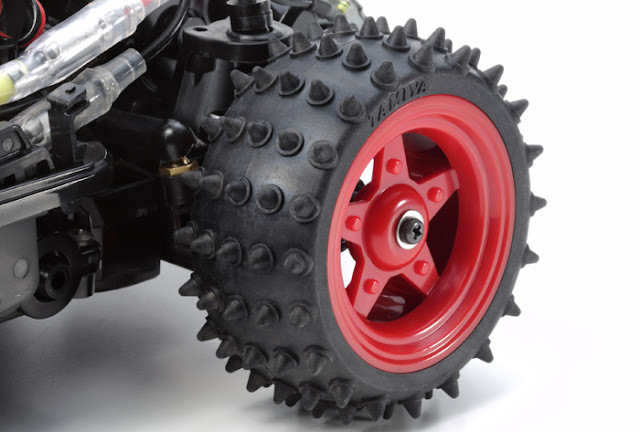 This car is aimed as a bridge for those who want to explore the world of RC. It just needs AA batteries to run, and it is upgradable. I have a soft spot for low price entry level cars, and as this is fully proportional it will be more than satisfactory as an office runner to have a race at lunchtime, or a cheap Single car class to race for beginners of the hobby. 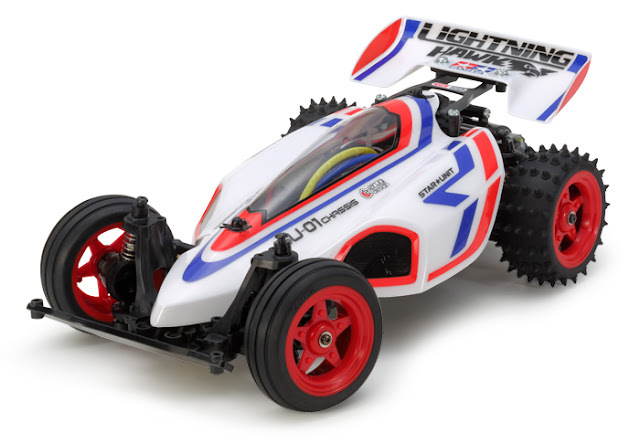 The Lightning Hawk is a complete electric RC buggy sold in an all-in-one package, boasting a rear-wheel drive gearbox, four-wheel strut suspension and simple construction. It is equipped with a 370 type motor, so it is easy to control, yet nimble, and can be run both indoors and out. The strong but lightweight polycarbonate body, which features a long, thin cockpit, large side pontoons and a separate large rear wing, was designed by Mr. Nezu Kota of Znug Design. 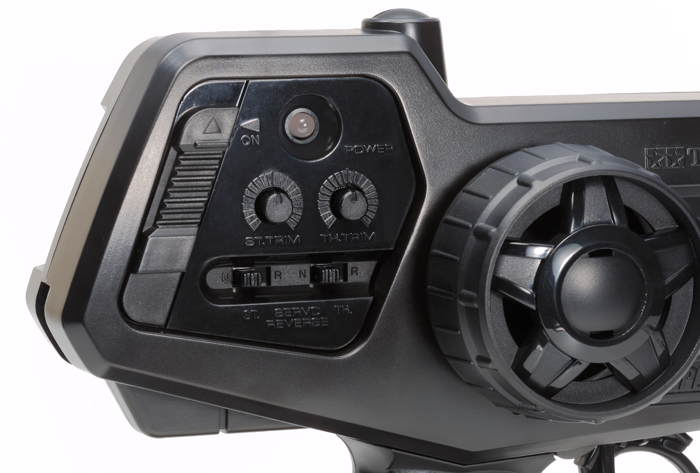 A great feature of the controller is the function button which can be used to switch between 'Normal' and 'Power' modes. 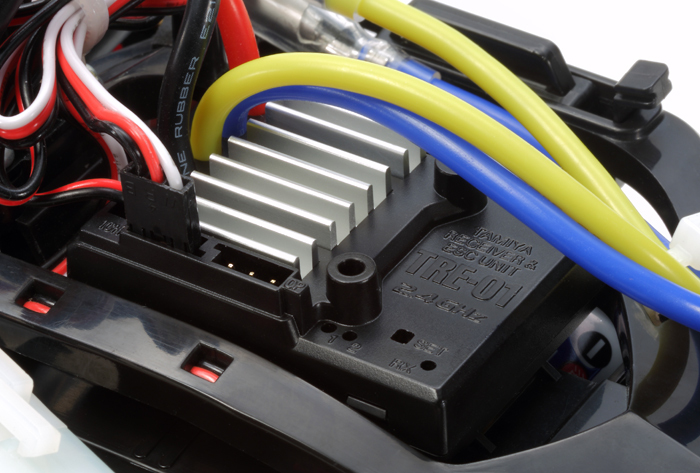 There is no need to buy a dedicated battery as the Lightning Hawk's power comes from four readily available AA batteries, so it's the perfect machine for a first RC car. Here is the full google translated Japanese info. 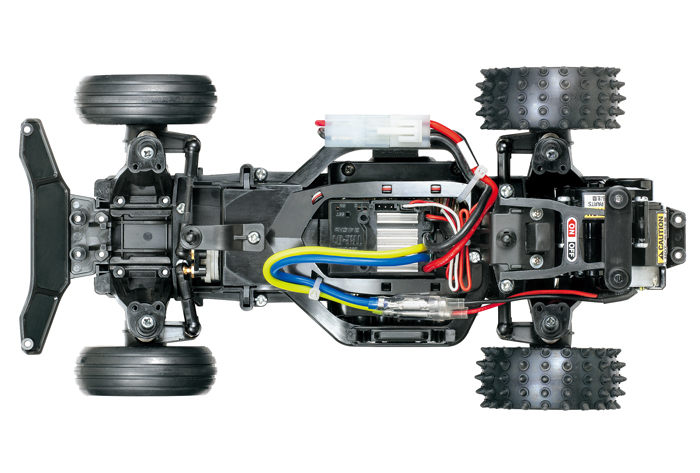 Four AA batteries were in power source, it is complete electric RC buggy of all-in-one. Chassis rear-wheel drive type. 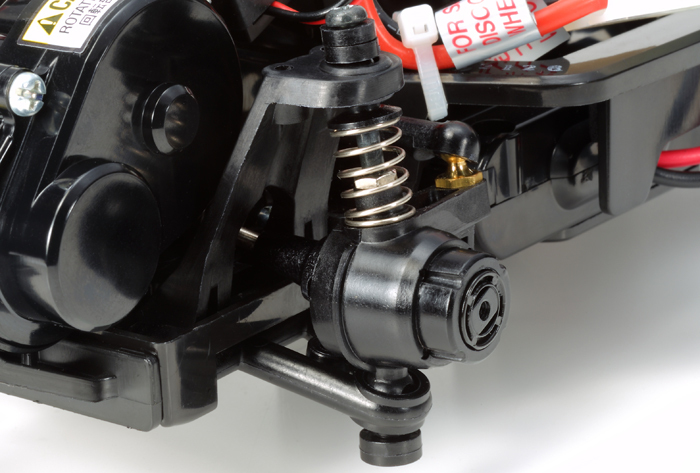 Four-wheel strut suspension is a simple structure. Equipped with a 370 type motor of easy to control characteristics, nimble running will feel free to enjoy from indoor to outdoor. Strong polycarbonate body in shock at lightweight, familiar znug design (rigging design) in the four wheel drive mini Nezu Kota Mr. responsible. Thin long cockpit and a large side pontoons, separate large rear wing features. Also, happy point of traveling mode in easy operation of the transmitter is switched in two stages. There is no need to add to buy a dedicated battery, it can travel only in familiar AA batteries, it is the perfect machine for the first time of the RC car. [Adopt the mechanism of orthodox]　SU-01 chassis, lightly strength in the center of sufficient monocoque frame, ESC TRE-01 unit that integrates the (speed controller) and the receiver, equipped with a battery case under the wheel drive type after excellent weight balance Te. 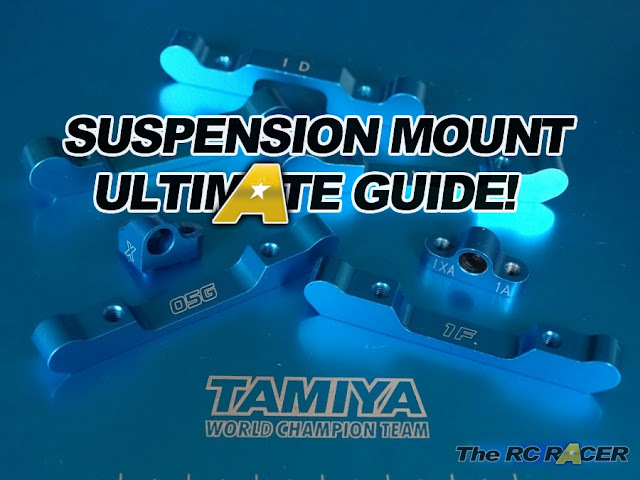 Suspension 4-wheel independent simple strut type. Equipped with a motor in the rear end to it and enough traction such a configuration in the rear wheel of the drive wheels, it was also equipped with Diff to produce a smooth cornering in the sealed gear box. 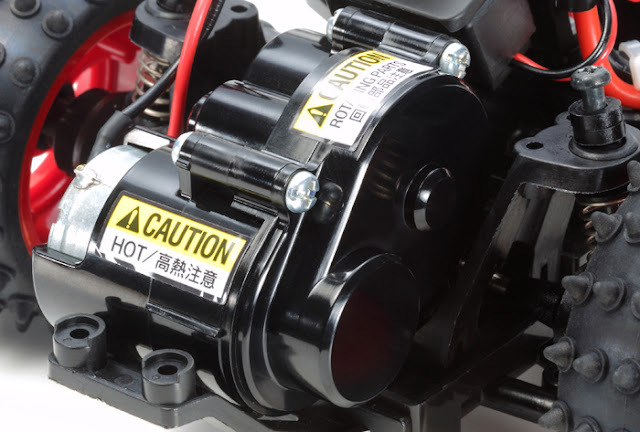 In addition, 370 motor also point the length of the running time.In addition, on the back of the transmitter by providing a speed selector switch, you can switch between the two stages of the speed of normal power. 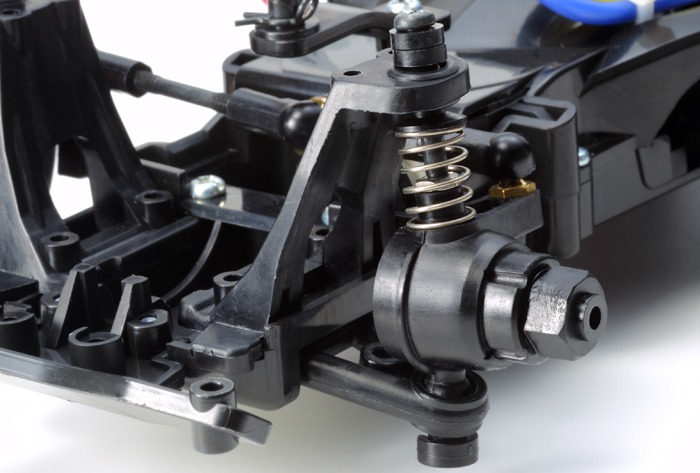 Simple strut-type front suspension equipped with a coil spring. Front rib tire with excellent directional stability. The front section and the strut-type rear suspension for shared was thought parts. 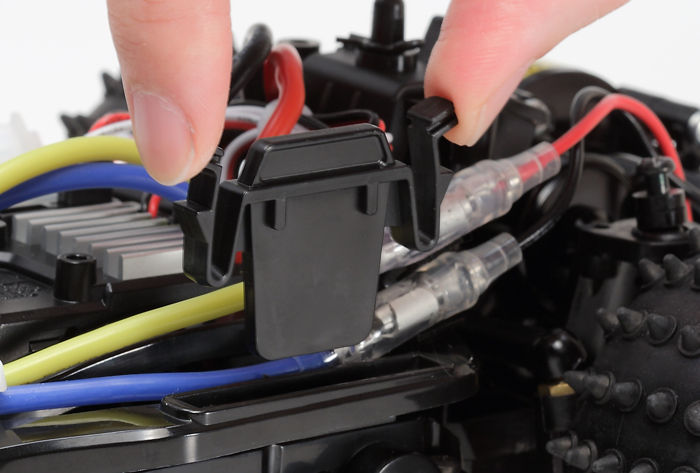 Battery case to be mounted on the vehicle body is fixed at the touch of a button by the stopper. 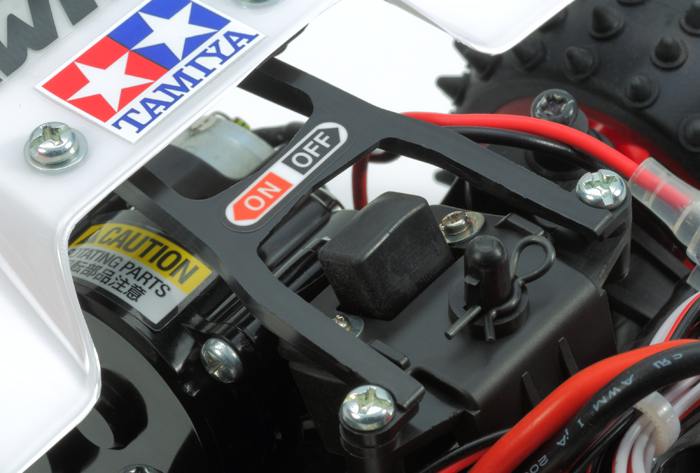 Receiver (vehicle body side) switch is set in front of the rear wing. 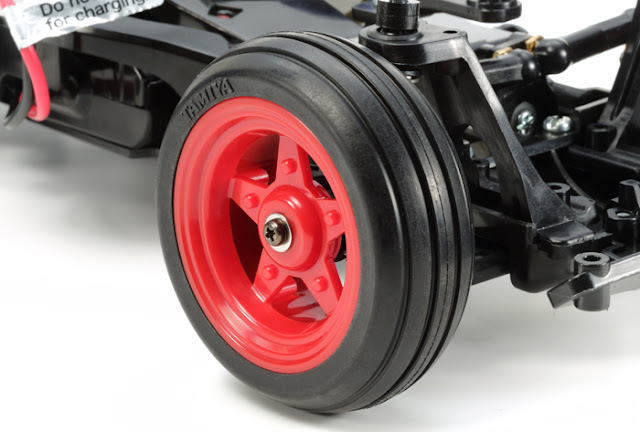 SU-01 chassis of the rear-wheel-drive slim simple. Wheel trigger transmitter also can be authentic, such as trim adjustment.